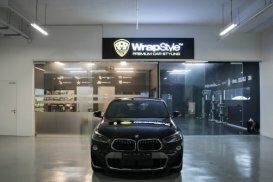 WrapStyle Singapore and Malaysia is the Asia Headquarter for the WrapStyle Group consisting of Wrapping Specialists from the founding team. WrapStyle Singapore and Malaysia provides premium wrapping services, trainings, centralized graphic designs and procurement assistance to WrapStyle Branches in the region. WrapStyle, an international premium car styling company with two branches in Singapore, continues to push the envelope of automotive customisation. Great job from WrapStyle! Recommended! Pasted the matte CF sticker on my Vezel roof. The experience was good! Thinking of getting my bonnet pasted too!